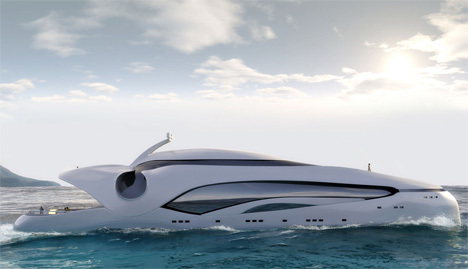 The Schopfer Oculus is a 250-foot luxury yacht inspired by oceanic fish. 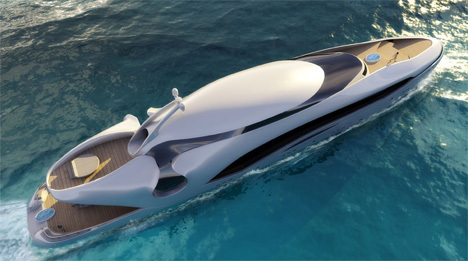 The yacht is spacious enough for 12 people comfortably. The interior features 12-foot ceilings which is simply mesmerizing,a cylindrical double height dining room, central stair and elevator tube, and elegant ceiling and floor lighting extensions giving definition to the seating areas. The second level is the dedicated Owner’s suite. Living areas and bedchambers are divided by a series of four freestanding tubes, which house bath and storage necessities. 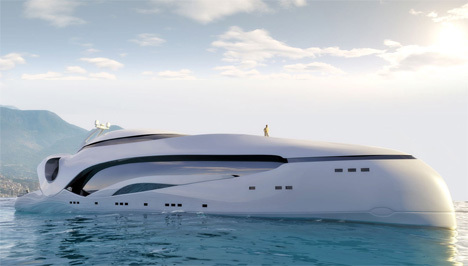 The third level contains the control center and separate captain’s quarters. The generous open decks make it perfect for taking in the best possible view of the beautiful sunset.